For most of us, navigating the work environment on our first day at the job is much like riding a roller-coaster. 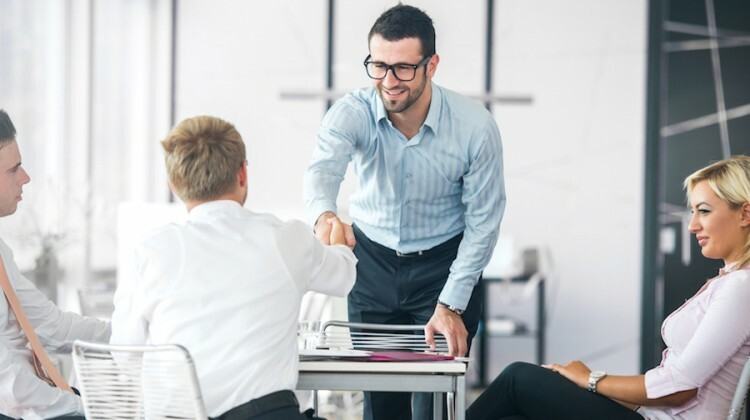 The excitement of meeting your new colleagues and getting familiar with on-site duties blends with the anxiety of making a good first impression. Learning the ropes may take a while. As such, getting a good head start makes all the difference. On top of all the effort you’ve put into landing that much-desired position, there’s still a lot more prepping and planning that needs to be done in order to secure your spot in the company and make sure you will be there for the long term. Here are the top five things to do in your first day at work to make sure you’re in it for the long haul. The first day at work may be tantalizing if you go in unprepared. Take the time beforehand to prepare relevant questions for your future colleagues, even if you know the standard answers to some of them. Letting the day pass by quietly will shine an unfavorable light upon you. Asking relevant questions to the people you meet is the first clue that you’re a proactive person, eager to learn. As the first few weeks on the job are really just an extension of the interview, use them wisely. Use the first day to kick start a self-centered campaign during which everything you do is intended to let the qualities you were hired for in the first place show. People are curious. As you are the new face around, some of your colleagues will ask about you and your role in the company. Be prepared to answer such questions without hesitation. They’re meant to genuinely find out more about you, your role and start up a conversation. Just in case you were not aware, this particular phase takes a bit of preparation, as well. Let’s say you’ve just landed an awesome position as a product developer at Target. On top of all the research you’ve already done about the job itself and what the application process entails, you’re going to want to explore the relationship dynamics within the company and how you can fit into that environment as naturally as possible. One easy way to do that is to simply go on LinkedIn, research people who are already working at Target and try to start up a friendly conversation with them. This will give you a bit of insight on the types of people that are already working there and even give you the opportunity to make a few friends before the actual starting date. If your new colleagues seem too busy to welcome you, don’t shy away from introducing yourself. Talk to everyone you meet. Eventually, it will pay off. Your first day at work will be a breeze to navigate if you’re relaxed and friendly. People appreciate an open person with a relaxed yet professional attitude. Everyone has been on their first day at work at some point. As such, nobody’s out to get you. The stress caused by trying too hard can only get in your way. Keep in mind that the first impression matters yet that you have already passed the interview and you’re there for a reason. Let the process naturally unfold one step at a time. Once you learn the ropes of the work environment, you’ll have more chances to shine. Despite feeling the urgent need to affirm yourself immediately, the wisest option is to observe, listen and learn. Refrain from stating strong opinions about one topic or another. Instead, listen to what your colleagues have to say and learn why. A wealth of valuable information is readily available directly from the people you meet during the first day at the job. Thus, this is the perfect opportunity to get a better grasp of the big picture, learn about decision making in the company and how ‘political capital’ is built along with relations with people who may become your best friends. This isn’t a joke. No matter how professional the environment your work in, there are habits and small things that make people go irrationally mad. If there is a kitchen, ask about the Dos and Don’ts related to this common space. Some are annoyed by the improper use of the fridge. Some have their personal corners where their coffee mug reigns undisturbed. Whatever it is, you need to figure out the unwritten rules starting day one. It will make your life easier. All in all, the first day at work should encompass a balanced approach to letting others in on your personality and role in the company and learning to navigate the work culture and environment as soon as possible. These are great tips on how to have a successful first day at work. Its really important to observe and listen. A really good post!